Justin Silver Horowitz is a decorative artist, muralist and fine art painter based in Brooklyn, New York. He has studied and worked at some of the most prestigious art institutions in the world, notably Nike Restauro Di Opere D'Arte, La Galleria Degli Uffizi, Palazzo Pitti and the Bargello in Florence, Italy. His time abroad allowed him the opportunity to experiment with materials and techniques used by historical masters of their time, while restoring sculptures from the Roman and Renaissance periods. Upon his return Horowitz expanded his craft as a professional faux finisher at ArtGroove in New York City. His love for Italian art and culture is consistently infused in his personal work, which has been exhibited both publicly and privately at the Woodwood Gallery, White Box and the Brian Morris Gallery in New York City. 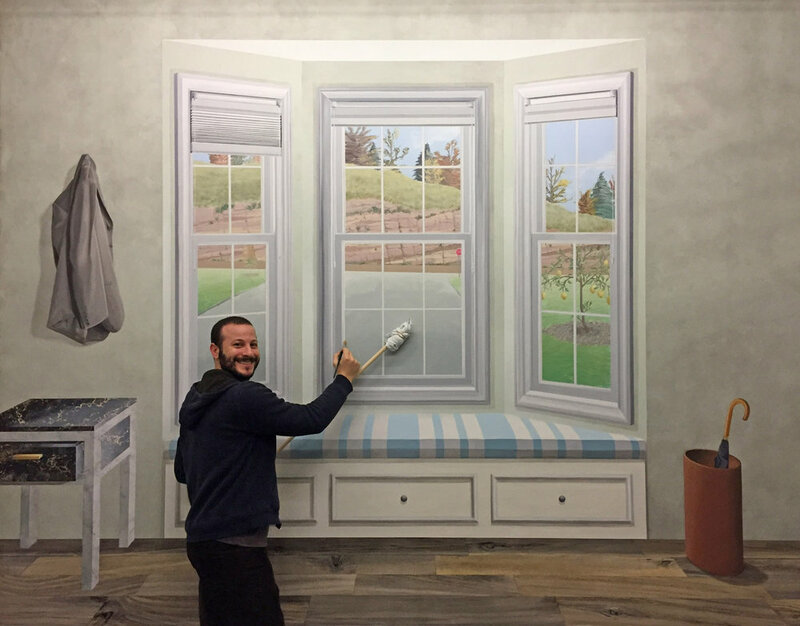 Currently Justin works as a Scenic Artist for feature films and television shows produced by Paramount Pictures, Warner Bro's, Netflix and HBO. He is a member of the United Scenic Artist Local 829 Union.